Your child deserves to experience their little “firsts” in the best way possible. They deserve to run around and bask in the rays of childhood bliss. But no matter how much we want our children to only experience good things, risks always abound. All kinds of accidents can occur and, from a simple sprain to major issues, knowledge of appropriate first aid steps is crucial. Bendigo Smiles Dentist is your partner in keeping your child safe. 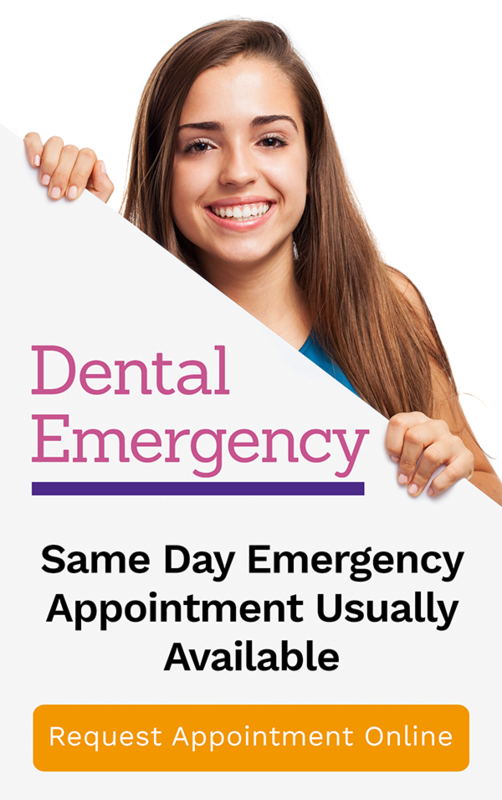 We strive to provide same day dental emergency appointments to attend to your dental needs. Our team of efficient staff and dentists is fully equipped with the skills and knowledge to deal with almost any dental emergency. Take a look at some of the most common dental emergencies and their first aid steps. Most of your child’s teeth are not permanent; so do not attempt to reinsert them – this could damage the developing permanent tooth underneath. If you are not sure if a knocked out tooth is permanent, best let your dentist handle the re-implantation. Clean your child’s mouth with lukewarm water. If there is swelling, apply a cold compress on the outside cheek of the affected area. Recover the tooth immediately. Pick it up by the crown (top part of the tooth). Do not touch the root of the tooth. Gently wash the tooth in a bowl of lukewarm water for no more than 10 seconds. Do this only if there is foreign matter on the tooth. Place the tooth in a saline or milk solution. If you don’t have either, soak the tooth in saliva. Very common amongst children, this dental emergency can be a symptom of a more serious dental issue. Let your child gargle with lukewarm saltwater solution (1/2 teaspoon of salt in eight ounce of water). Let your child floss gently and make sure that there is no food debris stuck or left in the mouth. Do not give aspirin to your child and never put aspirin on the gums near an aching tooth, as this will only burn the gums. For swelling, apply a cold compress. The soft tissues in the mouth include the gums, lips, tongue, and the cheeks. They contain a large number of blood vessels and are very delicate. Hence when your child is injured they can bleed profusely, making the emergency look worse. Let your child gargle with a lukewarm saltwater solution (1/2 teaspoon of salt in eight ounce of water). Apply pressure on the damaged area using a clean piece of gauze or any clean absorbent material. This will absorb the blood and saliva. Hold ice over the area to reduce blood flow, swelling, and pain. If the bleeding doesn’t stop after a few minutes, this could mean a serious injury to your child’s soft tissues.